My latest book, In the Promised Land, book 3 of the Egypt series is the story of Marva, who became a nun because she felt that was what God wanted her to be. I must confess that before writing this book, I had never read a nun’s story or the very popular The Nun’s Story by Kathryn Hulme, first published in 1956. However, I had attended a Convent high school and upon graduation, I desired to become a nun. Even though I was not Catholic. Really. But that’s for another post. I also became a great fan of the perennial favorite The Sound of Music – I watch it every Christmas – and fell in love with Julie Andrews and Christopher Plummer. Little did I know I would one day write a nun’s story. But when I wrote Coming Out of Egypt, the first book in the series, Marva, the protagonist, told me she wanted to become a nun. That because of the abuse she’d suffered at the hands of her father, she couldn’t be a wife to anyone, not even her handsome friend from childhood, whom she loved dearly. I wasn’t sure I wanted her to become a nun. After all, my mother didn’t want me becoming a nun, so why should I give in to my creation’s pleas to become a woman of the cloth? But Marva has always been a strong protag, and so after suffering a horrible accident in In the Wilderness book 2, I agreed to let her have her way. 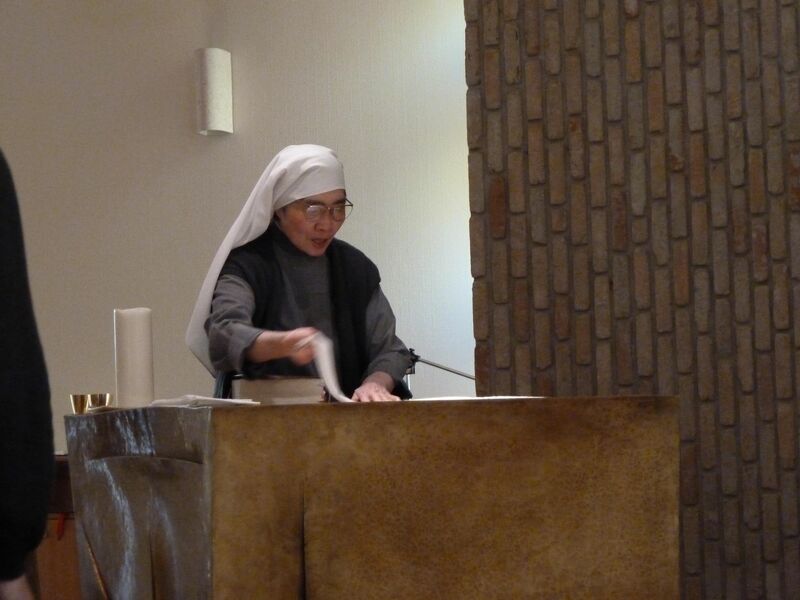 She became a nun – a devoted one at that, she always gives her all to anything she does – and for a while, I felt content to letting her remain a nun. But, you remember that handsome childhood friend I mentioned earlier? Well, he never got Marva out of his system. And that’s as far as I’ll go with this. Let Marva tell you the rest. Let her explain her struggles between her love for Jesus and her love for Jason, and see what choice she makes in the end. Get In the Promised Land on Amazon and when you do, please leave a review so that other readers can be guided in making their choices. And if you haven’t done so yet, please sign up for my newsletter and invite your friends to do so. “I would like to thank Angela for her ongoing work. She has understood our requirements and has been consistently delivering quality work on time, regardless of the topic. We will continue to keep using her services in the future.” - Hatice K.